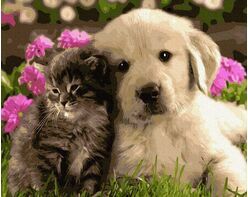 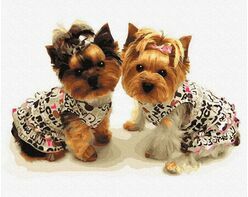 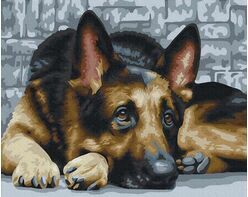 Dogs are undoubtedly the most faithful and beloved pets! 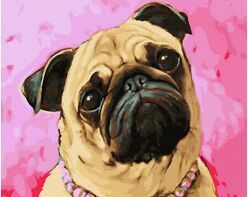 Why not to try to paint a picture of this animal? 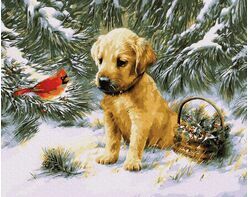 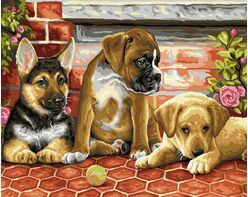 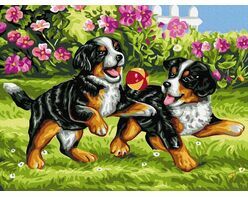 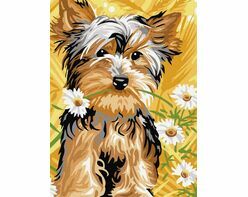 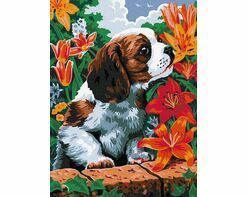 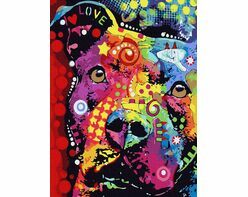 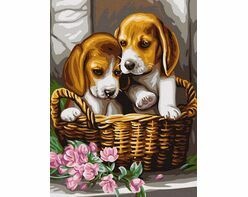 Today you have a wonderful possibility to create a real masterpiece with our paint by numbers sets with the image of dog. 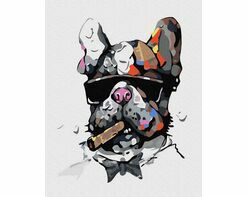 No need to have any painting skills. 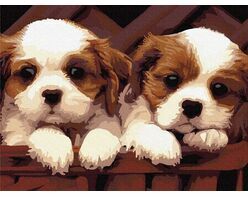 Draw with high quality acrylic paints on canvas with a wooden stretcher. 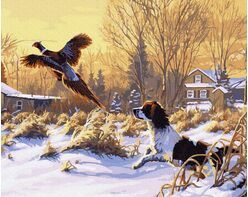 Such a set will be an excellent gift, and the drawing process will be fascinating, simple and relaxing.